The Minnesota goth-crooner is back with his first solo track in over a year. Spooky Black seized the internet in 2014 with leaving, an EP of ethereal R&B tracks mixed by Weeknd-affiliate Doc McKinney, as well as his work with Allen Kingdom as part of the Minnesota collective stand4rd. 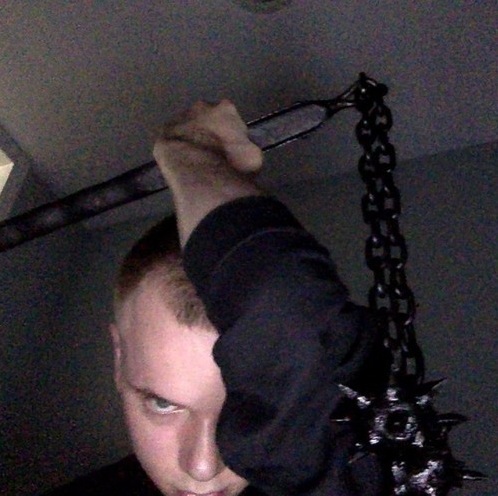 After changing his name to Corbin and releasing an EP with Bobby Raps called Couch Potato, he disappeared, leaving an enthusiastic fanbase with lots of questions. This morning, Corbin shared a new track, "destrooy." It doesn't bang like many of his other songs — it resembles "interlude," another reverb-heavy guitar ballad found on leaving, but with a less diffused sound. As a possible prologue to more music a lot of people are waiting on, the track carries a certain rare heft. Listen below.